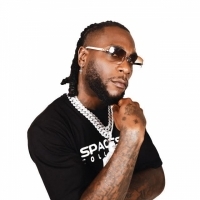 Burna Boy is a Nigerian dancehall star who released his debut single, "Shobeedo" in 2011. Other songs include the 2012 songs: "Like to Party" and "Tonight", plus "Celebrate", "Won Da Mo" (2013) and more. He released the album, "Outside" in 2018.